The Wellbeing Wheel lists all the elements that contribute to our overall emotional health. Plot your own wellbeing to see the areas of your life you could dedicate more time to. Looking after our emotional health is a dynamic process and can be influenced by many factors. Understanding and having an awareness of these helps us to recognise how our emotional health may be compromised and allows us to focus on the areas in need of some more dedication. Mind: Think about the clarity of your thoughts, efficiency of your decision-making and your ability to stay focused. Community: How connected and involved do you feel within your community. Body: Consider your physical vitality and health. Do you find it easy to relax? 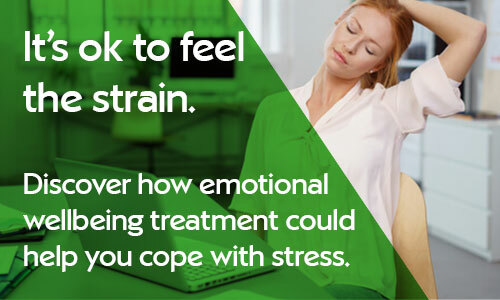 Do you experience aches and pains? Learning: How happy are you with how you are learning new information, skills and awareness in a way that is beneficial to your life? Spirit: Think about your sense of meaning and purpose in your life. Do you live according to your values? Environment: Are you happy with all the places/environments that you tend to spend your time in and how they affect you? Emotions: Do you have a good balance of positive to negative emotions? Relationships: Consider the quality of your relationships. 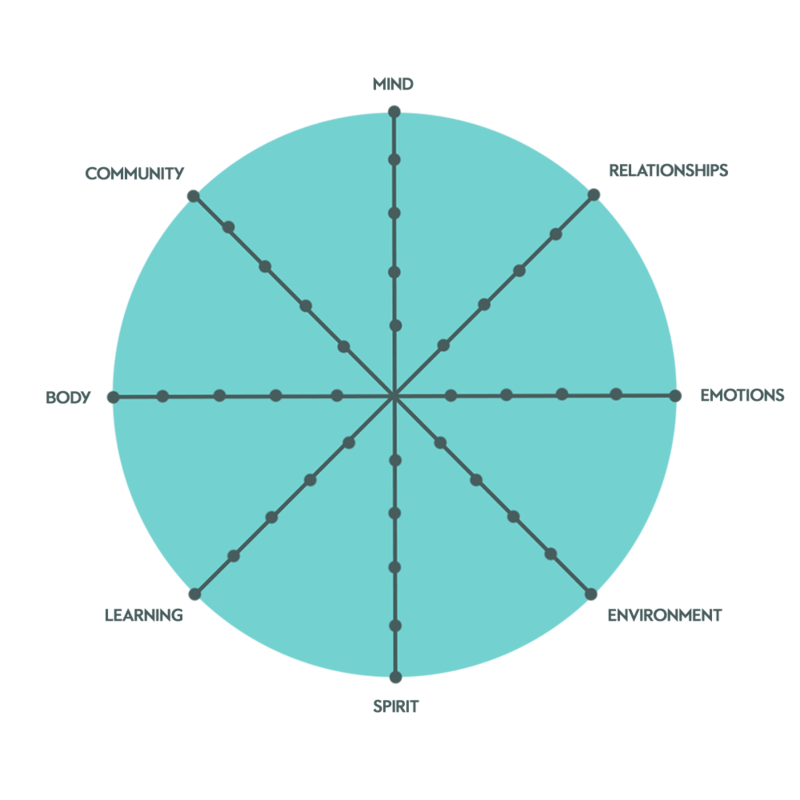 Once you've completed your Wellbeing Wheel you will be able to see the areas of wellbeing that you are happiest with, and those that you are least happy with. This will give you an indication of where to focus your efforts. You can then take actions that help improve these areas of your wellbeing. Focus your attention in the area of the heart. Imagine your breath is flowing in and out of your heart or chest area, breathing a little slower and deeper than usual. Inhale 5 seconds, exhale 5 seconds (or whatever rhythm is comfortable). Donate books or other useful items you don’t want to a local retirement home or hostel. Try a MOOC! Massive Online Open Courses offer a huge variety of learning options that you could do in your own space and time. Think about how you could bring your values out even more strongly in your daily life. For any values that are not as present as you would like, write down or talk to a friend about how you could apply these more. For any area where your environment has a negative impact on you, write down one thing that you could do to help you manage it more effectively (by using one of the tips above on mind or body, for example). Schedule to do each of these at least once over the next week. Plan some time to sit down and talk with someone important in your life and really find out about how they’re doing.